The whispers and smoke and noise about the rumored iPad mini—an iPad that would be 7.85-inches in screen size—are definitely getting louder. It's by no means real yet, but the iPad mini could very well be an actual thing. But what would it look like? 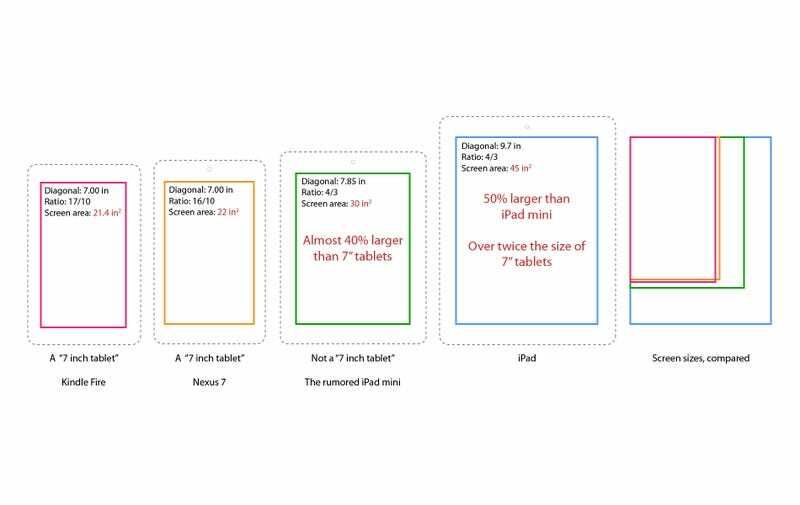 Tweeter TrojanKitten points out that unlike the twinsies nature of the Nexus 7 and Kindle Fire, the iPad mini would house a different form factor from its 7-inch contemporaries, with a different sized screen.